Perched on the gentle rugged slopes of Marananga, Western Ridge, Barossa, the traditional German style timber build didn’t happen overnight. 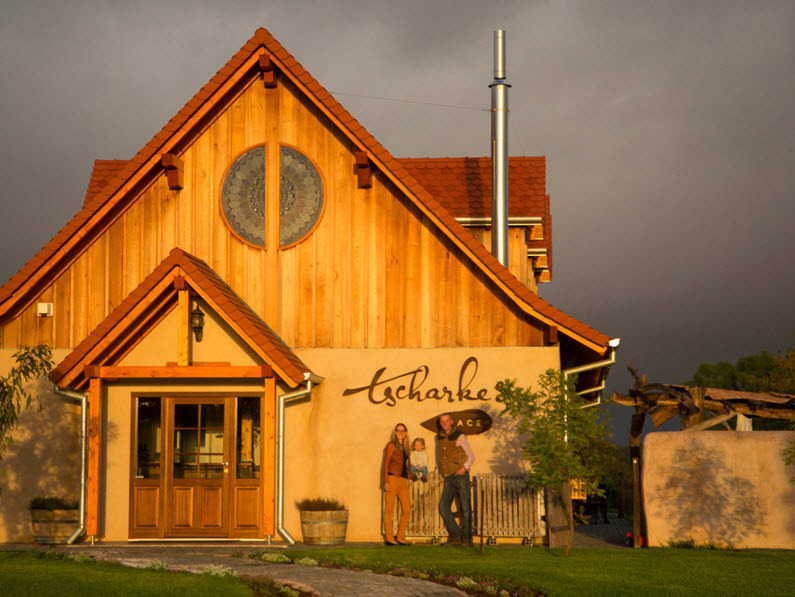 2 years in the planning and 14 months to complete, the doors to Tscharke’s Place quietly opened for the first time in September 2011. The tasting space has evolved a little since then and like all good things will continue to do so. 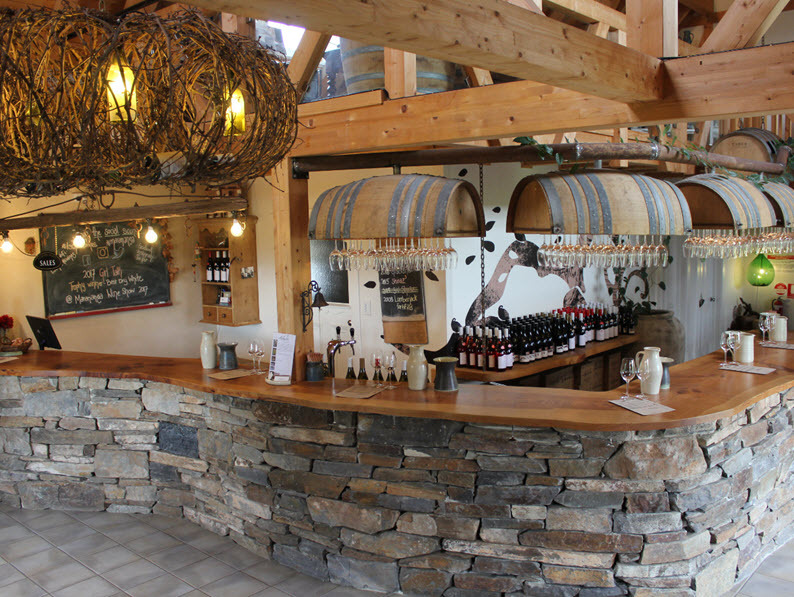 Damien and Eva have perfectly merged their passions for wine and pottery to create their own slice of paradise. 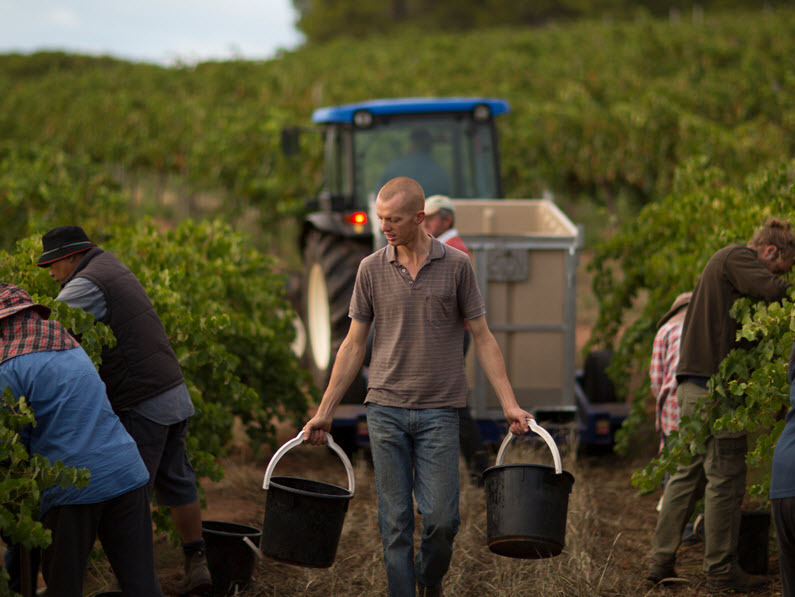 It’s a life style choice; winemaking is all about maximising yields and quality by minimising inputs from their viticulture practices. Their signature style is all about texture, restraint and elegance, not just weight. Eva’s pottery is handcrafted from stoneware clay, with a real focus on functionality and quality for each piece. 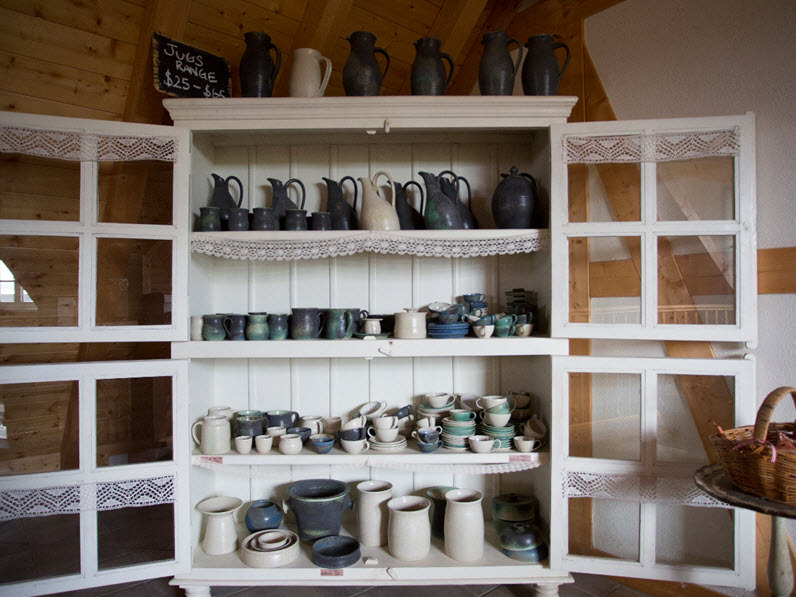 The stoneware is used every day in the tasting room – a testament to its beauty and durability. Additional pieces always on display in the upstairs gallery. 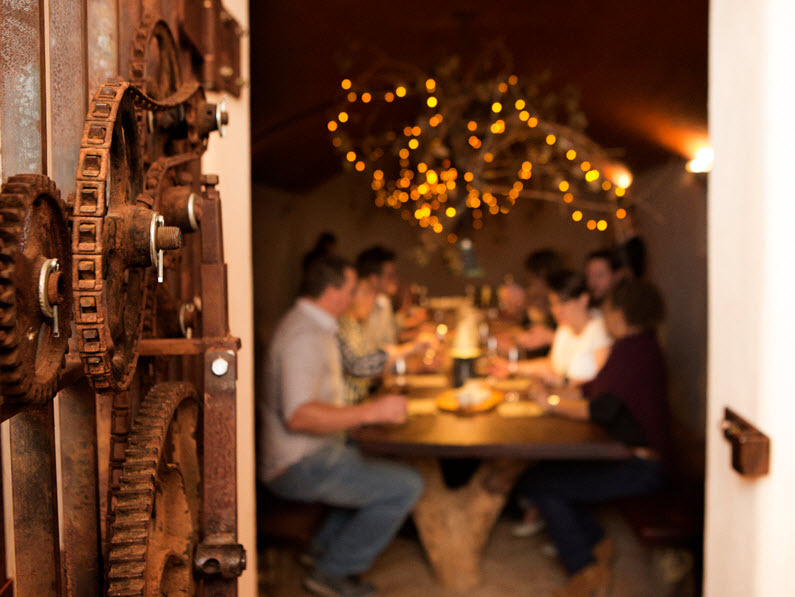 Visitors to Tscharke’s Place engage in a tasting journey, exploring emerging Mediterranean varieties and Barossa regional classics all whilst learning a little about Tscharke’s sustainable viticultural practises along the way. 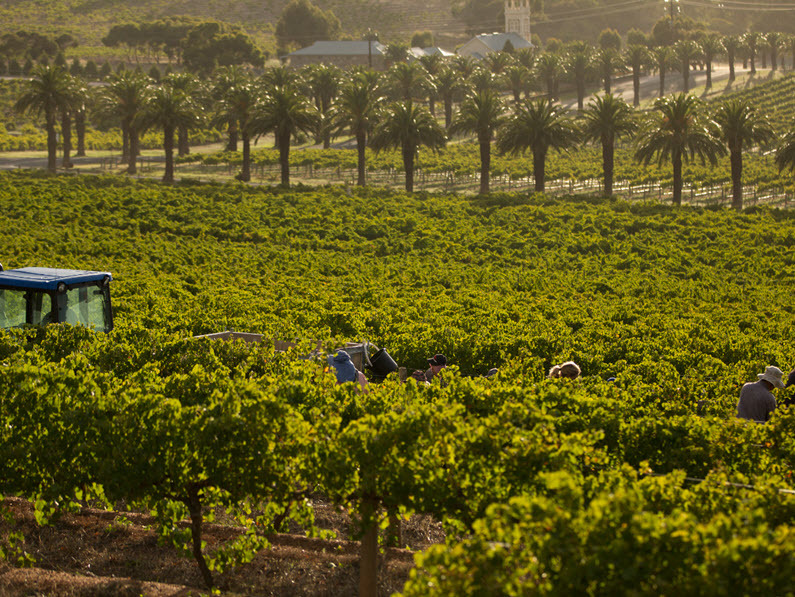 The experience wouldn’t be complete without a story or two of the Tscharke family’s 150-year history within the township of Marananga and Barossa surrounds.